In two recent arbitration decisions out of the Financial Services Commission of Ontario, the arbitrators found that the claimants were suffering from a catastrophic upper cervical injury at the cranio-cervical junction.This sever misalignment where the head and neck meet is often mischaracterized as whiplash when in fact it is much more serious than soft tissue injury. As detailed below it has several potential implications such as restricted blood flow to the brain; neural spinal cord restriction and curtailment of the smooth flow of CSF fluid between the spinal cord and the brain. The CSF restriction results in impact on proper brain nourishment and waste removal. Allan S. Blott Q.C., Injury Law Firm is here to assist you in this regard. Our Lawyers provide knowledge and experience with this law. 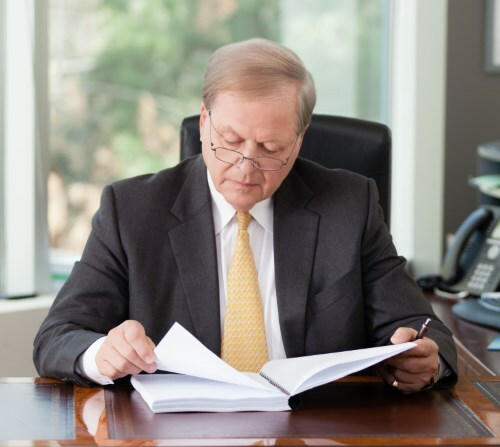 Our Lawyers will determine your legal matter, identify the issues resulting from your personal injury, and obtain a plan of action to obtain the proper compensation you deserve for your losses and suffering. Dr. Baird testified that these symptoms occur as a result of torn ligaments in the neck. The damage to the ligaments is such that they are no longer able to support the vertebrae in the neck. This causes the vertebrae to become unstable and slip in and out of alignment. The abnormal movement of the vertebrae disrupt the smooth flow of blood and cerebral spinal fluid to the brain, which causes the symptoms listed above. Unlike whiplash, which typically resolves in a matter of months, cervical instability does not heal on its own. This is because the ligaments, once torn, do not regenerate, leaving the victim with a permanent condition. To add insult to injury, this condition, though clearly severe, has largely been ignored by the insurance industry and medical community. Traditional MRI and X-ray imaging often does not pick up on the torn ligaments or cervical misalignment, leading to many victims being denied benefits and compensation. Further, the injury cannot be detected on physical examination. This injury can only be detected through the use of dynamic motion x-ray (DMX) or upright MRI imaging. Allan S. Blott Q.C. is here working for you. Contact us today for your free consultation and to discuss our no fee promise.